Celebrate Christmas Day and New Year’s Eve within the luxurious countryside setting of Tintswalo at Waterfall in the heart of Johannesburg’s northern suburbs. North of Johannesburg, Tintswalo at Waterfall offers a unique countryside experience to city dwellers seeking respite from a busy metropolitan lifestyle. 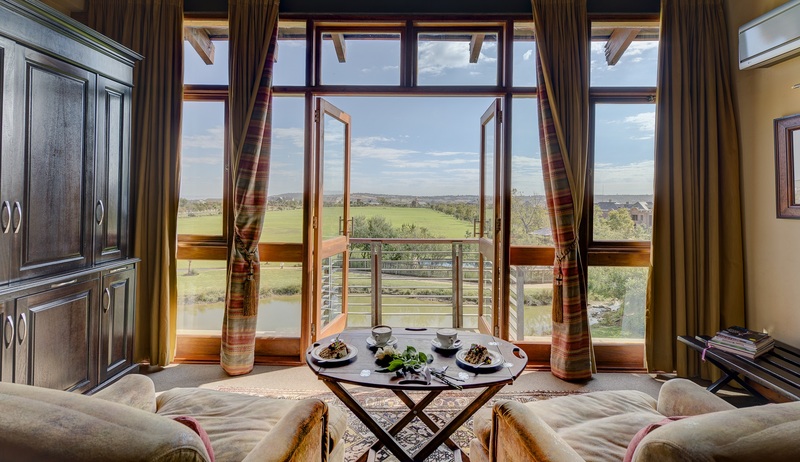 Located within the elite Waterfall Equestrian Estate, the boutique hotel is designed as a lavish, double-volume barn, decorated with equestrian paraphernalia and beautiful horse-themed artworks. Within close proximity to the city, and only five minutes’ drive from the Mall of Africa, the five-star boutique hotel boasts 16 spacious suites and excellent facilities for private events or executive business meetings, as well as a spa. Overlooking a lush polo field and green lawns, as well as a sizeable dam which attracts local bird life year-round, Tintswalo at Waterfall presents delicious gourmet cuisine and all the conveniences of urban living, to be enjoyed against the backdrop of the natural beauty of the estate grounds. The hotel’s lavish Christmas Day Lunch includes a Christmas cracker and glass of bubbly on arrival, followed by a generous lunch buffet. The mouthwatering selection features healthy salads and a ‘Harvest Table’ filled with rustic homemade artisan breads and toppings, as well as festive season favourites, from Glazed Gammon and Roast Turkey to Warm Christmas Pudding and Mini Trifles. Ring in the New Year with an extravagant five-course New Year’s Eve Dinner. Those wishing to extend the celebrations can take advantage of the special holiday accommodation offer, valid for stays between 18 December 2017 and 31 January 2018.